Dario Argento’s 1977 Suspiria is a masterful movie driven by mood and palette; an immersive experience best played out under late night’s cover of darkness and perhaps, a hot toddy. Ripe for a remake, though probably unnecessary (aren’t they all? ), at least a countryman will retell his tale. Fresh off Call Me by Your Name, director Luca Guadagnino reunites with Tilda Swinton and Dakota Johnson (A Bigger Splash) for his modern take on mysterious happenings at a prestigious German dance academy. 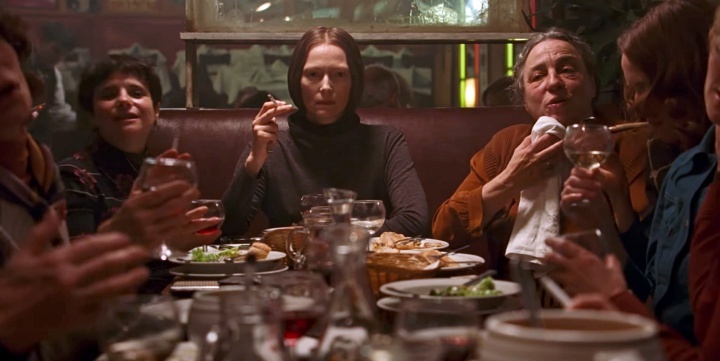 Jessica Harper makes her appropriate cameo, and the cast is boosted by Mia Goth, Chloë Grace Moretz, Lutz Ebersdorf (not an actor — a real psychoanalyst), Angela Winkler, Ingrid Caven, Elena Fokina, Sylvie Testud, Renée Soutendijk, Christine LeBoutte, and Małgosia Bela. 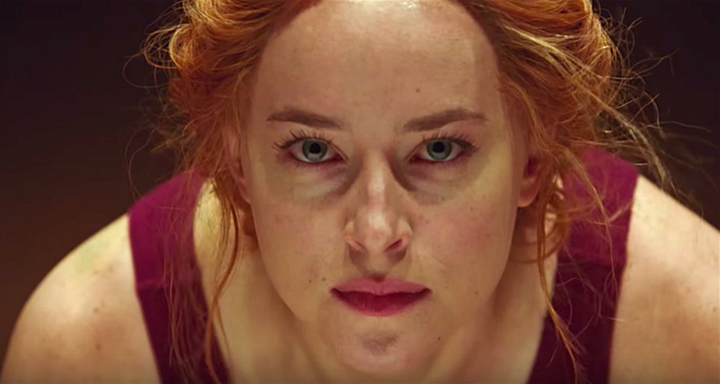 Suspiria debuts at this year’s Venice International Film Festival, hits limited theaters October 26th, and is out in full, November 2nd. Why Does It Suddenly Feel Like We’re Right in the Middle of A Cure for Wellness?